As our industry has evolved, so have the companies that want to take advantage of people’s dream to be a successful, published writer. New companies appear on the horizon every day, and author service companies with profiteering, even predatory, business models and deceptive marketing can make it difficult and confusing for authors. It can be difficult even for an experienced eye sometime to separate the good self-publishing services from the bad. And in an exploding marketplace, Watchdogs can’t review every service. How can indie authors make an informed decision about a company? At ALLi, we carefully vet our Partner Members for ethical behavior and excellent service. 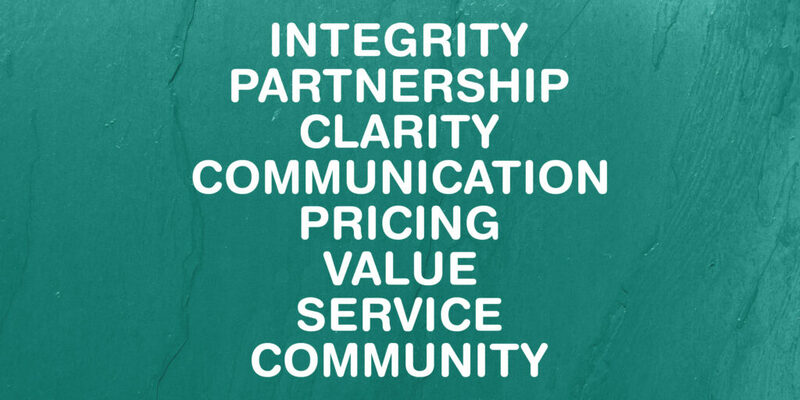 The cornerstone of that process is our Code of Standards, a set of eight guiding principles which all Partner Members must adhere to. Although ALLi’s appraisal process for a service is more detailed — our evaluation includes extensive research and a rigorous examination of twenty criteria — authors can use these overarching principles of the Code to screen out questionable service providers. We recognise that Partner Membership of ALLi means our primary aim is to enable authors to effectively publish and sell books. We follow through on all promised services and fully honor all advertisements and publication agreement terms. We never spam, oversell, harass authors to buy our services or sell a dream to the uninitiated. The most critical aspect of the client-vendor relationship is often the toughest to judge. A company may talk a good game, but once the contract is signed and the client’s check is in hand, may fail to deliver on their promises. Customer reviews are a precious source of information, especially word of mouth from trusted colleagues. If you’re relying on anonymous customer reviews, take them with a grain of salt. A negative review may be a fluke, or a disgruntled customer with a grudge. However, multiple complaints may signal a pervasive problem, so watch for recurring themes of hidden fees, poor customer service, worthless services, or services not delivered. Companies which rely on spam, high-pressure sales tactics, or inflated promises should be regarded with caution. These are the hallmarks of a company trying to find a customer for a product rather than trying to find the right service for the client. Integrity demands that the company work to the benefit of the author. A company that’s more concerned with meeting a sales quota than with serving your needs has abandoned that principle. We make it clear what we can and cannot do for the self-publishing writer and how our service compares to others. Service providers must be clear about what services they are providing, and how they will benefit the author. All too many self-publishing services rely on vague descriptions of services and even more vague promises of success. This can lead to confusion and open the door to deceptive practices. When evaluating a company, learn to slice through the marketing fluff and look for concrete statements about how the company operates. If you can’t find any, or if the company seems evasive about their process, that is a danger sign. Our price quotations are accurate, transparent and complete. Pricing is in line with market norms. A reputable company informs its clients; it does not hide vital information from them, especially key information like pricing. Pricing should be clearly and fully disclosed, with no hidden fees. Pricing that is drastically different from market norms — above or below typical pricing — is a red flag. Inflated pricing is rarely justified by the services rendered. In the other direction, pricing that seems too good to be true usually is. When comparing prices to determine the market norms, be sure to measure against reputable companies with a proven track record. Predatory operations often have higher visibility than legitimate companies, so comparing the first results you find on Google will yield highly inflated averages. We add value to each publication commensurate with the fee charged, relieving authors of key publishing tasks, enhancing readability, design or discoverability. Pricing and value are related, but separate issues. A company may have reasonable pricing, but still deliver a poor value, either failing to honor the promises they’ve made or delivering useless services that don’t benefit the author. A company may have higher-than-average pricing, but deliver exceptional value for that fee. The best way to appraise the value of a service is to examine the end result. If a company provides editing, are their clients’ books well edited? If they publish to retailers, are the sales pages professional and error-free? If they specialize in marketing and publicity, can you see evidence of their footprint on the landscape of the internet? The results must justify the price. When the results of the service are not easily gauged, as with certain PR services, customer reviews are again a useful guide. If the typical customer is disappointed with the results, chances are you will be too. We involve authors in planning and decision-making for key aspects of the publication process, from titles and cover design to sales and marketing strategies. ALLi characterizes indie authors as creative directors of their books who expect that status to be reflected in any partnership. After the contract is signed, the author should remain an active participant, not a helpless passenger. We provide helpful and timely information to authors at all stages of publication, and beyond, and facilitate authors to get any ancillary information which we cannot provide. Communication overlaps with several of the principles in the Code of Standards, because it is paramount at all stages of the author-vendor relationship. Correspondingly, it’s one of the most common reasons for customer dissatisfaction. Poor communication can stem from several causes. The vendor might be understaffed and too busy to answer questions. They might not respect the client. Or they might be actively concealing information. Each of these is a recipe for a disastrous business relationship. If you see complaints about a company’s communication, be wary, particularly if the breakdown seems to happen after the contract is signed. You have a right to full and accurate information from a prospective service provider before you enter into any agreement. Pricing, options, and process should all be discussed openly, and these discussions should never be conditional on signing the contract. You have a right to know what’s in the contract you’re signing, in clear, easily-understood language. Ask to see a typical contract before entering into negotiations. Any unpleasant surprises buried in the contract are a bright red flag that should put you on highest alert. You have a right to know how your money is being spent, and what actions are being taken on your behalf. When a service provider condescends to a client by saying, “just let us do our thing,” or “it’s complicated,” they are no longer treating the author as a partner and an equal. You have a right to regular, timely updates on a project’s status. Lack of communication in this area is a frequent cause of customer dissatisfaction, and with good reason. We are accountable for our work. We keep authors informed each step of the way and provide good customer service and follow-up. Good service incorporates all of the other principles in the Code of Standards, but centers on one key concept: accountability. Accountable companies’ representatives treat the client as their personal responsibility. They treat the client as a person and not a commodity or case number. When a problem arises, they take steps to correct it, and they follow up to ensure that the client is happy. But service is most obvious when it’s missing. That lack of accountability ripples through every aspect of a company’s operation and every item in the Code of Standards, so companies with poor service tend to be flooded with a wide variety of complaints. We have a long-term commitment to author-publishing and support the empowerment of self-publishing authors. Most reputable service providers are active within the author communities they serve. They show their support for indie authors by catering to the specific needs of self-publishers, by listening to authors, by joining and supporting professional groups. However, some companies position themselves in opposition to a community. They pander to disgruntled authors by proclaiming contempt for traditional publishing, or prey on insecurities by insisting that authors can’t succeed without the company’s help. Neither attitude reflects the reality of indie authors. No author exists in a vacuum. We are all part of the publishing industry, a larger community that includes self-publishers, traditionally published authors, hybrid authors, service providers, professional organizations, and more. A company that relies on needlessly divisive tactics is not working to empower the author. It is working to isolate them, and this type of manipulation should be regarded with suspicion. How do you evaluate companies you might work with? Share your advice in the comments below! 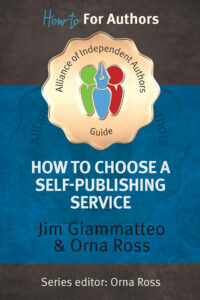 Updated annually and drawing on recommendations from ALLi members, warnings from our Watchdog Services, community word-of-mouth and in-depth research, How To Choose A Self-Publishing Service tells you everything you need to know about evaluating author services, from the smallest freelancer to Amazon KDP and everything in between. The book compares the most significant self-publishing services, from single service suppliers to package providers; from large big brand names to smaller sole traders; from off-the shelf providers to bespoke services and gives you everything you need to know about how to best publish your book and reach readers. I’d just like to add that those of us who are members of professional organisations, such as the Society for Editors and Proofreaders (UK), the Association of Freelance Editors, Proofreaders and Indexers (Ireland), Editors Canada, Editorial Freelancers Association in the US, are bound by our own organisations’ codes of conduct. We have already been ‘vetted’ (and assessed and trained) by our professional organisations. Might it be in ALLi author members best interests to share information about these professional editorial organisations, whether individuals are members of ALLi or not? Thanks for alerting ALLi’s readership to the very real risk of being scammed by those who offer services to writers, especially independent writers who must rely on others in the process of publishing. Unfortunately, the biggest problems often surface after the writer has committed and paid the vendor, and often these problems don’t stem from anything actionable. But even when they do lend themselves to legal action, the costs are prohibitive. The only help for this is due diligence. Writers are often susceptible to flattery, and to optimistic pronouncements about the prospects for their work. It’s very important to resist flattery and optimism, and to “stay on message” in terms of doing everything possible to vet the vendor. I did this recently, asking a series of questions that required specific answers. The marketer in question was claiming credit for promoting a book that became a bestseller, but no mention of the book figured on the company website. Why not? I asked. Wouldn’t you want potential customers to know of your success? After a series of additional questions led to vague answers, the vendor stopped replying, and I had my answer: another scam artist preying on writers.